Like everything else in life, sometimes we believe that tea preparation, especially Matcha, is complicated with specific Japanese teaware, processes & variations involved. 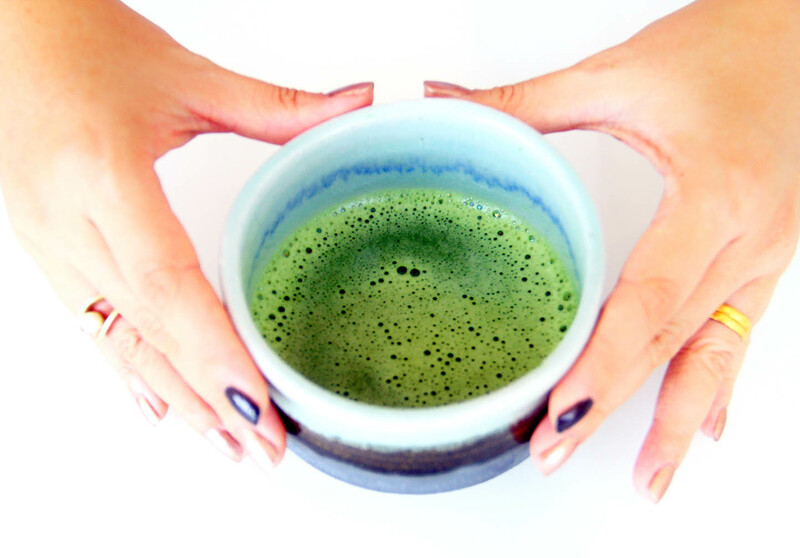 While it is true that mastering the art of tea preparation and learning Tea Ceremony (be it Japanese Chado or Chinese Gongfucha) takes years of knowledge and practice, when it comes to preparing Matcha at home, you don’t have to be precise with each gesture. You can easily learn how to fully enjoy it in three different ways. Check out the Matcha Preparation Tutorial Video we made on Youtube for a simple tutorial. Just click here to open the youtube video. 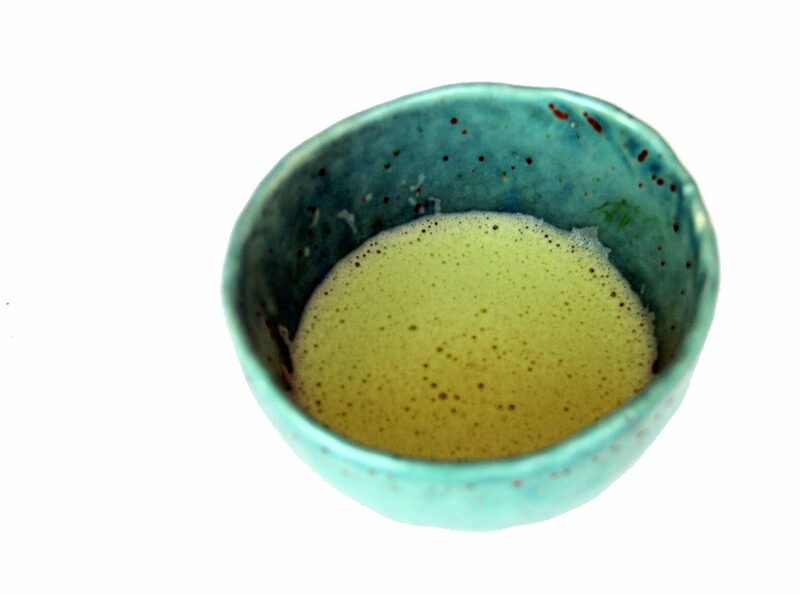 Take a look on the photo below to familiarize yourself with the traditional Matcha Japanese teaware. In a tea ceremony, appreciation of the bowl is part of the ritual. Some tea bowls or chawan are handmade and can be quite expensive; however there are plenty of affordable chawan in the market today depending on your budget. 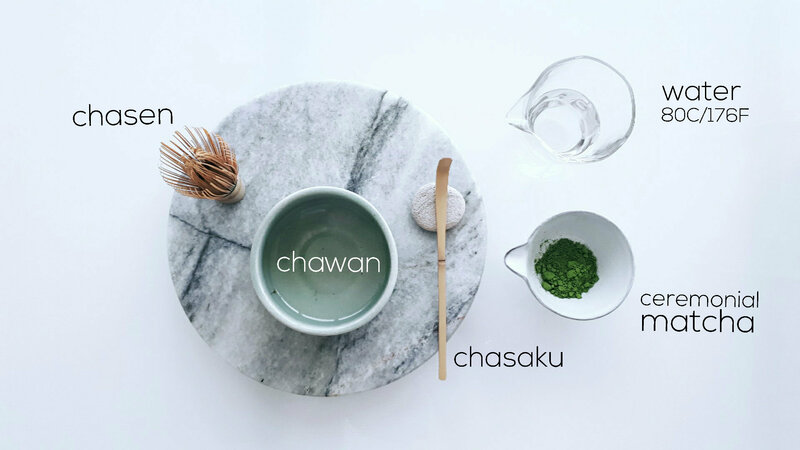 The good news is that you can also use everyday kitchenware to prepare your matcha: A chawan can be replaced with any cup with a wide base to allow room for whisking, a chasen with an electric frother, whisk or even a blender; and a chasaku with a wooden spoon. The experience won’t be the same, but the option is there. The use of the bamboo whisk and the swish sound it makes, for example, is part of the pleasure. Note: Like with most Japanese teas, make sure your water or milk is not boiling hot. Ideally use water/milk at around 80ºC/176ºF. You can quickly reduce water temperature by transferring it from one container/glass/cup to another. For every transfer, the temperature lowers by roughly 10ºC. Chasen (Bamboo Whisk). This can be replaced with a milk frother or whisk. However, metal can damage the chawan. Warm the chawan with hot water. Soften the chasen with hot water. Discard the hot water & towel dry. Sift 1 full scoop (2 grams) of ceremonial matcha to avoid lumps. Add a small amount of water to create a smooth paste. Whisk vigorously in zigzag motion for almost a minute. Drink immediately. Note: For Koicha (thick tea), double the matcha powder dosage only. This recipe has no sugar. However, Matcha in Japan is always served with small sweets before drinking it to enhance the flavor of matcha. Definitely try it. 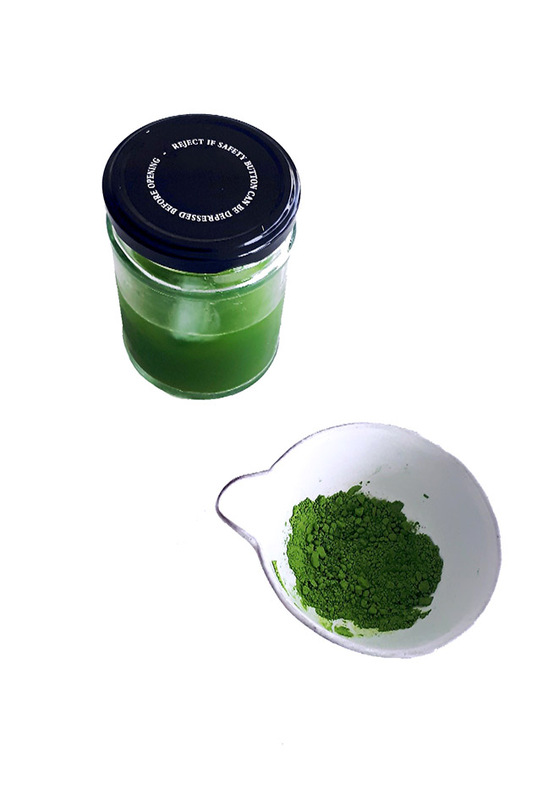 Similarly to the traditional Usucha style, sift 1 full scoop (2 grams) of ceremonial Matcha. Add a small amount of warm milk of your choice to create a smooth paste. Whisk vigorously in zigzag motion. Normal milk will foam quickly & nicely. Optional: Add honey or sweetener of choice. Note: For a bigger Latte portion, double both the matcha and milk dosage. Add 1 cup of cold Coconut Water in a jar. Tighly close the lid and shake for 30-60 seconds. Pour in a glass and serve with ice. Garnish with lemon, orange wedge and fresh mint. Note: For a “frappuccino style,” add ice and mix all together using a blender. Here it is! Three ways to enjoy your Matcha. Once again, you can watch the video on youtube: just click here.